Marden Theatre Group are proud to announce their next production “Allo Allo” taking place at the Marden Memorial Hall on Thursday 26th October, Friday 27th October and Saturday 28th October. Doors open at 18.30 and the performance will start at 19.30. Cash bar available. 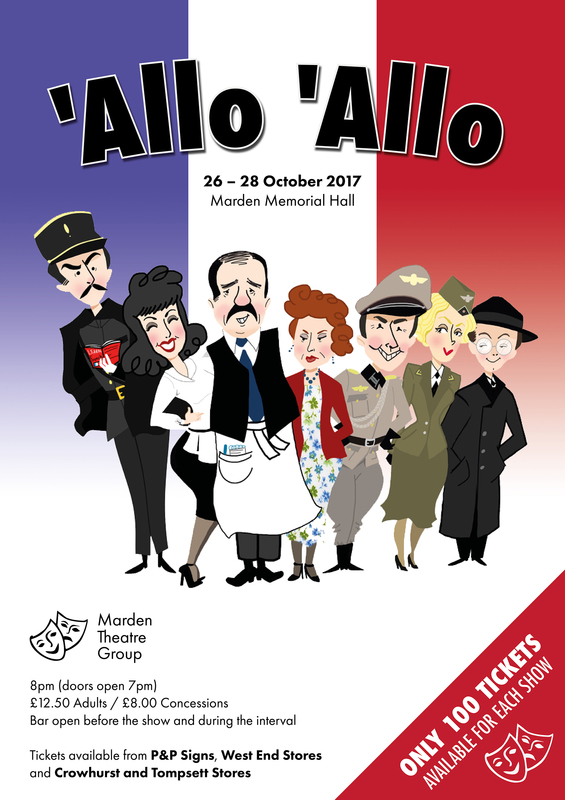 We are looking for businesses who would like to advertise in our Marden Theatre Group A4 full colour programme for our Allo Allo production. A new event for your Diary! On Thursday 9th November. We have been invited as a Forum to have a look around our Local Fire Station, see their equipment and meet the crew. There will be a BBQ on site, organised by West End Tavern. Business planning would be so much simpler if only we had a crystal ball or access to someone who knows what has happened and what is most likely to happen next. Marden Business Forum are delighted to welcome as our guest on Thursday 12th October at the Unicorn, Our Man at the Bank of England, Phil Eckersley. “Our Man” because he is the Bank’s Agent for the South East and the conduit for economic intelligence between us and the Governor of the Bank. There will be a free buffet for MBF members served between 6pm and 8pm too. Harry and Chris join us on Saturday 28th October in the Exchange Studio and the show starts at 7.30pm. They join us after sell-out runs of their 2016 and 2017 shows at the Edinburgh Fringe, Harry Baker and Chris Read bring their unique mix of comedy, melody, poetry and best-matery to venues nationwide! We are delighted to be able to offer MBF Members a corporate discount of 2-4-1 on tickets. The offer code is: HC241 and please use this when booking. Tickets can be booked online: Hazlitt Theatre, Or by calling The Hazlitt Theatre Box Office on: 01622 758611 (Mon – Sat 10:00 – 16:00). 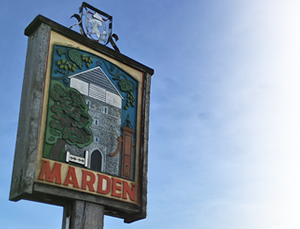 All articles must be emailed to newsletter@mardenbusinessforum.com before 12 noon on Thursday 2nd November to be included in November’s newsletter.